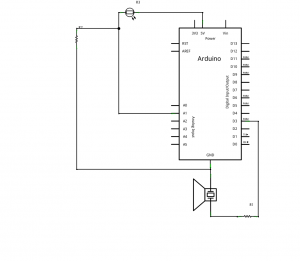 Posted bymarkal	 2010/09/13 2010/10/03 1 Comment on Arduino – play! A long silence on the blog is just broken! During the last few months I was strongly engaged in projects not connected with Arduino, whole time was absorbed by keeping the Arduino shields shop, servicing customers, searching for new suppliers, etc. Now I have a bit time which I can spend by documenting experiments with Arduino, thus I hope to add some examples with Starter Kit soon. Arduino buzzer from Starter Kit on Vimeo. 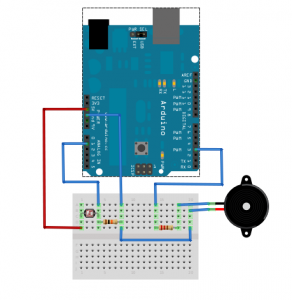 Buzzer is controlled by Arduino, playing simple melody. Playing speed depend on reading from photoresistor (the more light, the slower it plays). I wrote, how to read values from photoresistor in one of previous posts. 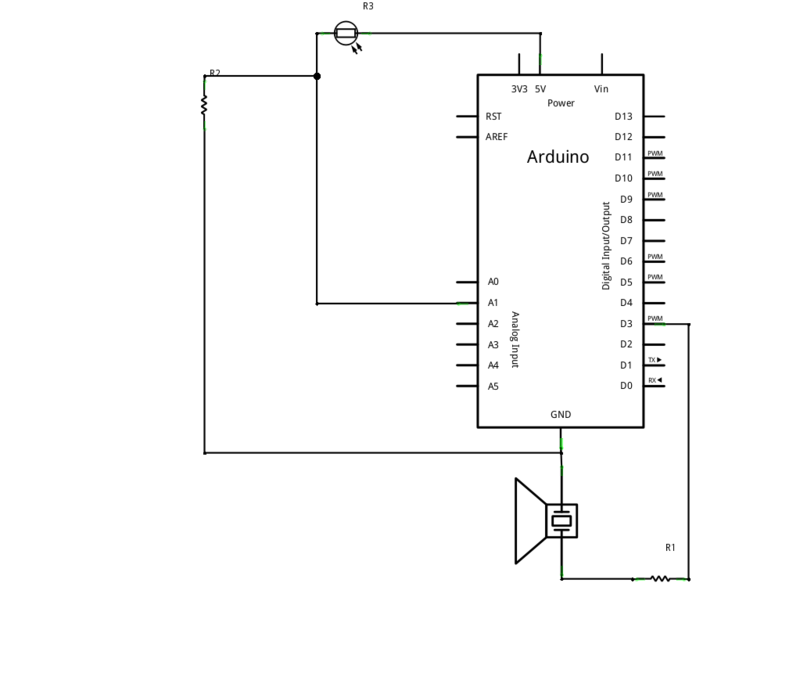 Buzzer is stimulated to play by properly applied high and low voltage. For (Arduino output port) safety a 220 Ohm resistor is added to lower the current passing through (from PDF with documentation appears that it’s not obligatory – at least 14 Ohm resistance should not generate current higher than 36 mA – lower than the limit value for Arduino I/O port – 40 mA). Thankfully Arduino is open source and there are many ready to use elements. So, playing melody (note) issue is described in Melody tutorial. We will take advantage of it and add only part reading value from photoresistor and converting it to adequate delay. How do you like the diagrams and pictures designed in Frizting? For me, it’s perfect software for documenting experiments with Arduino. I reccommend – check it.